... where artists discover their true love of painting! Workshops are a great way to get motivated and push yourself to the next level. My classes are for beginners through advanced students and include a step by step introduction to painting with a palette knife. I teach using a “hands on approach” and I promise you that my workshops will help enhance and expand your love for painting! In a three-day workshop the students will typically complete four paintings. My workshops are fun and include lots of time to talk about your art ... whether that includes marketing your art or tips to becoming a “daily painter”. 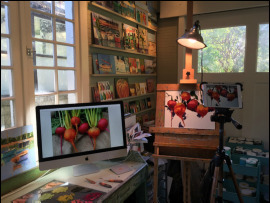 My workshops are taught in my Carriage House Workshop Studio in South Pasadena, our beach house in Ventura, Ca. 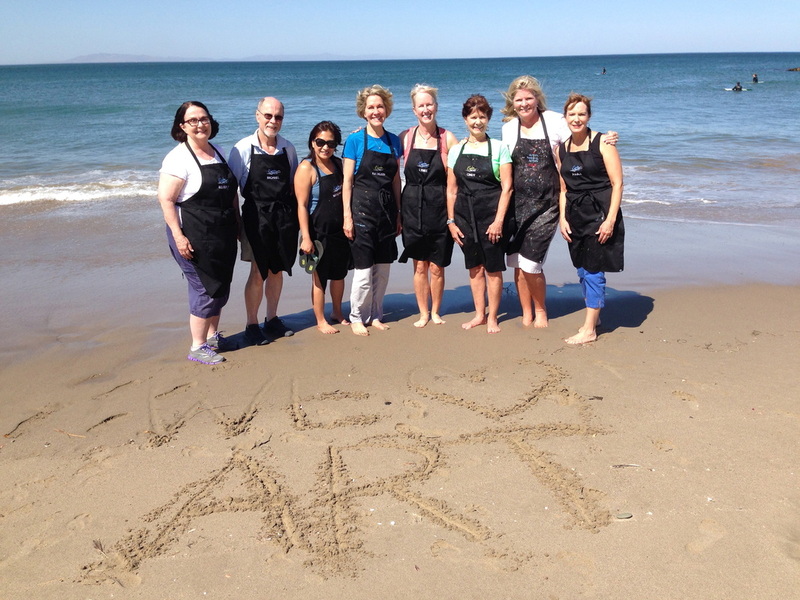 and in other cities in the U.S. My workshops are a forum for artists to discover their true love of painting. Click on any of the dates of the workshops to sign up! If you are looking to loosen up and paint in a more expressive and spontaneous style then my abstract workshop is for you. I will teach you the process to paint abstracts to define shape, value, color and identifying the focal point. Plus you will learn how to create mood boards, work with interior designers and abstract commission clients. My online classes consist of videotaped instruction from start to finish It starts with the selection of subject matter and continues with setting up the composition on canvas, followed by how I premix my color palette. The videos continue with blocking in the shapes of my painting, matching values and temperatures, adding detail and finishing with highlights. 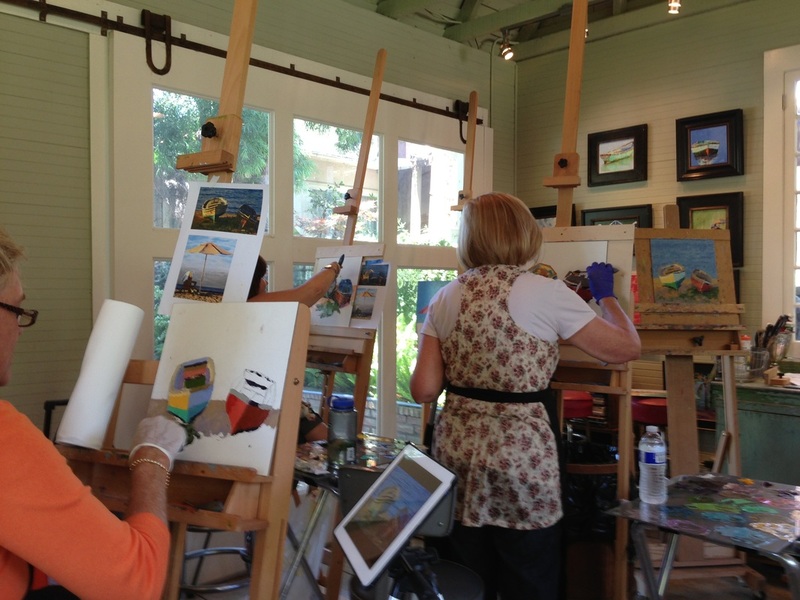 Open studio is a great chance for artists to get together, share ideas, have fun and paint! 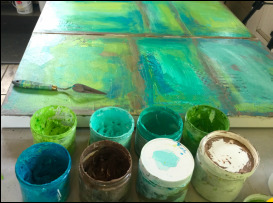 I started open studio in two years ago because I love to paint with other artists. The one day studio is a lot like a one day workshop. The only requirement is to have fun! Classes in 2016 are TBD. Cancellation Policy: If cancellation is made 90 (ninety) or more days prior to beginning workshop date, a full refund will be made less a $100 processing fee. If cancellation is made less than 90 days prior to beginning of workshop, half of the workshop fee will be refunded. Cancellations of 45 days or less from beginning date of workshop, no refunds issued. If workshop is canceled by the artist, the entire workshop fee will be refunded. If flying, it is advised that you purchase refundable airline tickets in the event of a cancellation.